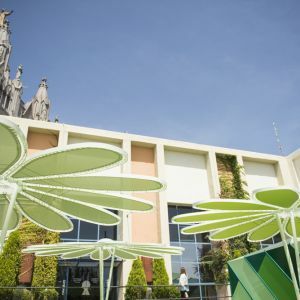 The Tibidabo Theme Park is located on the Tibidabo mountain in the west of the municipality of Barcelona. 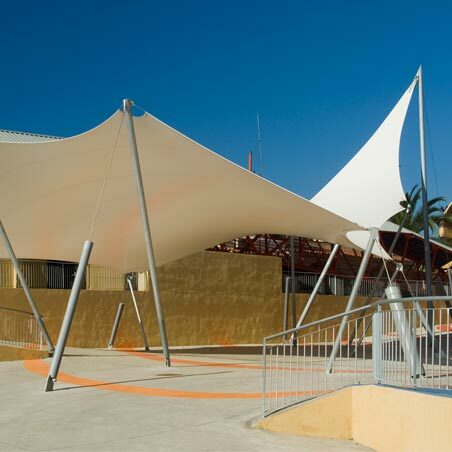 The park is the oldest in Spain and the second oldest in Europe. 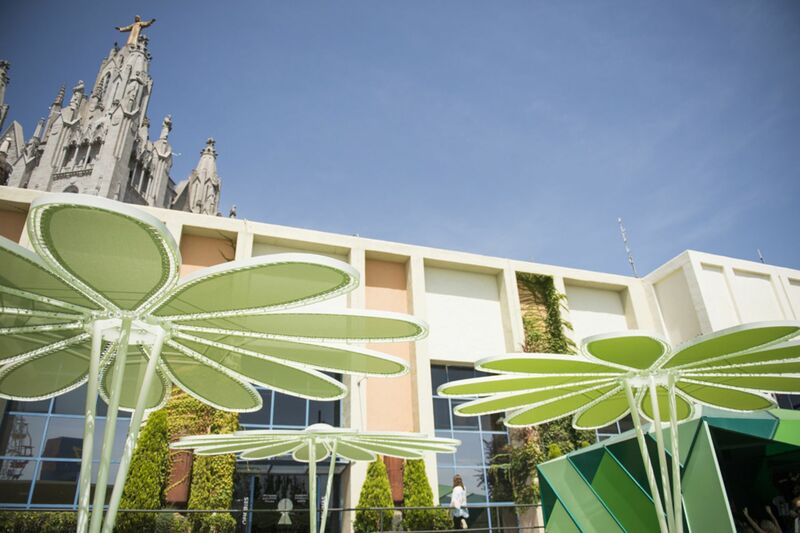 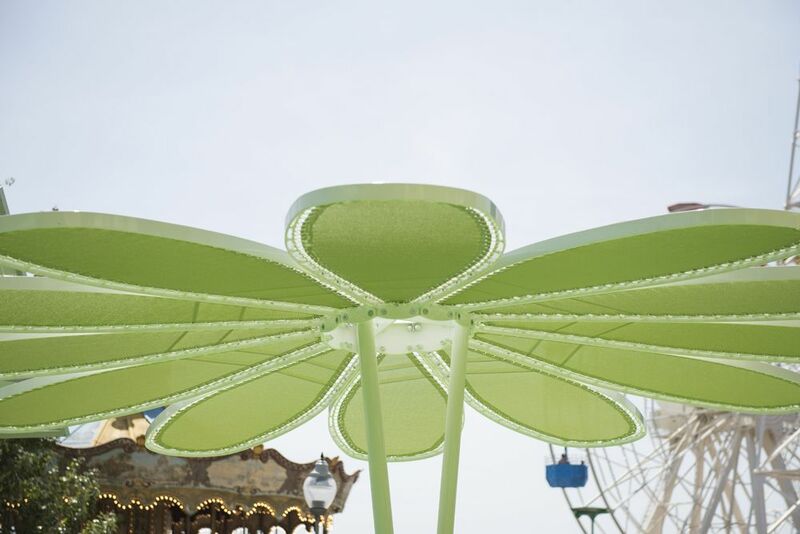 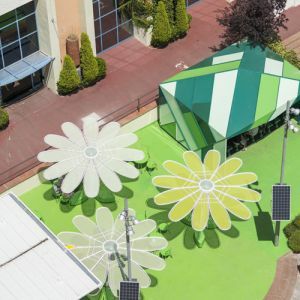 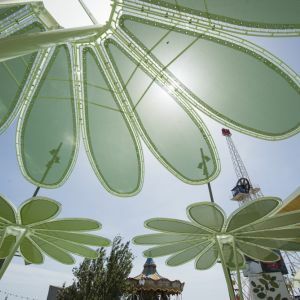 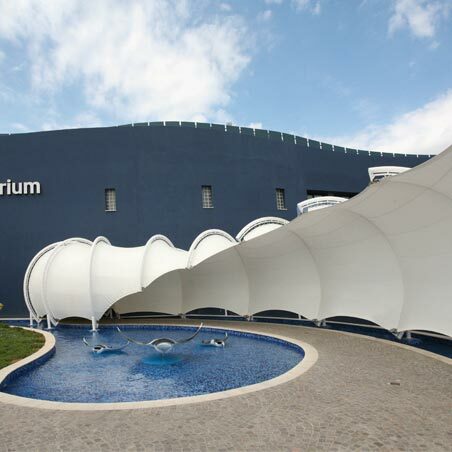 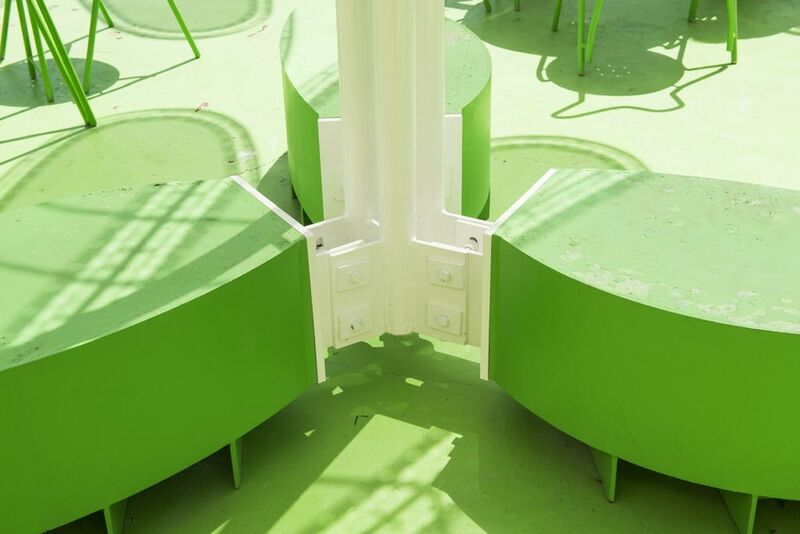 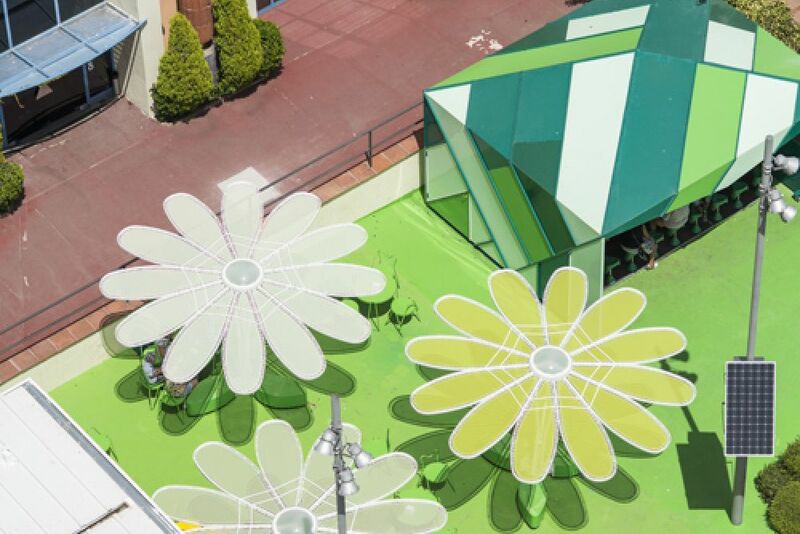 The project to remodel the central plaza of the Tibidabo Theme Park was the manufacture and installation of three sunshades in the form of daisies. 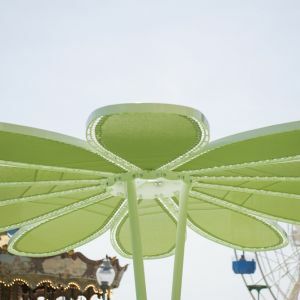 With an exclusive and original design, these elements harmonise perfectly with the park's surroundings and allow visitors to enjoy a rest period in the shade cast by the petals. 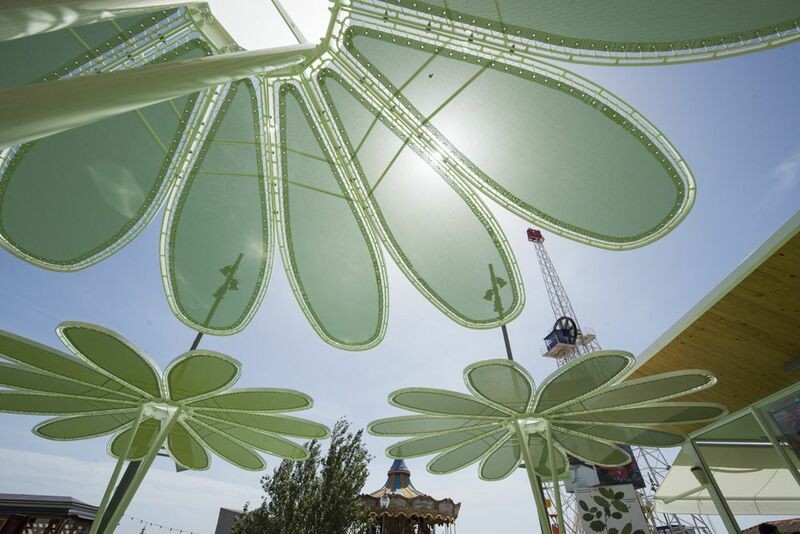 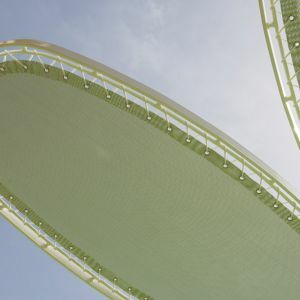 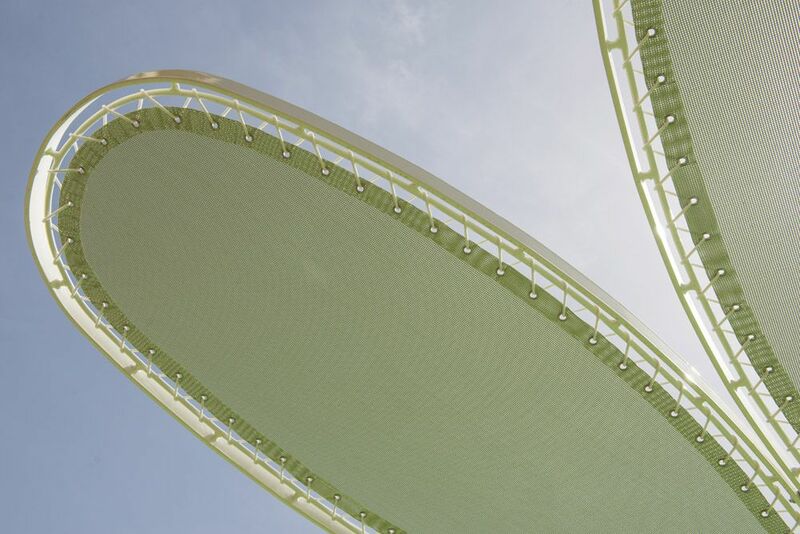 The new tensioned structures reproduce the form of a daisy with 12 petals on a large scale. 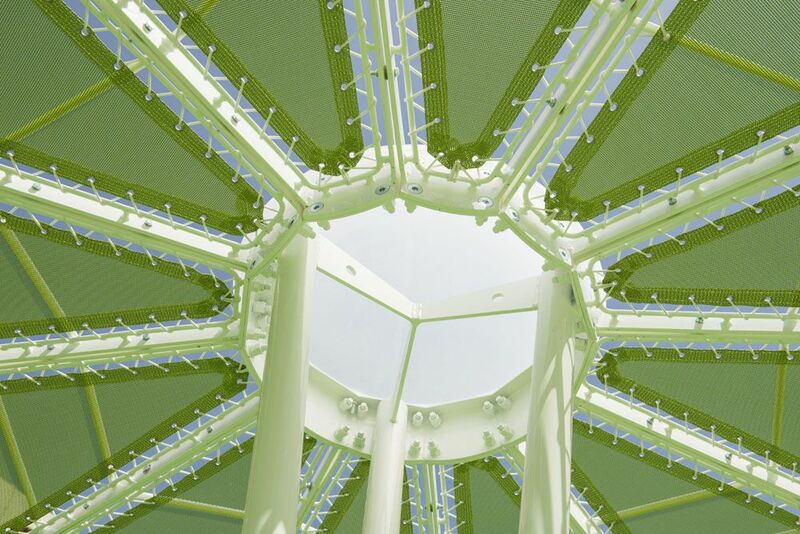 The curved and smooth contours of the structure imitate the natural forms of the flower with the petals independent of each other. 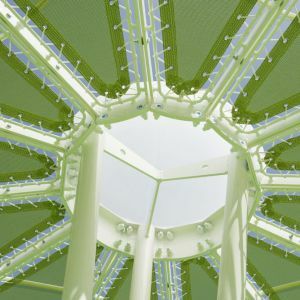 The structure of the stalks is set in three foundations and does not touch the ground. 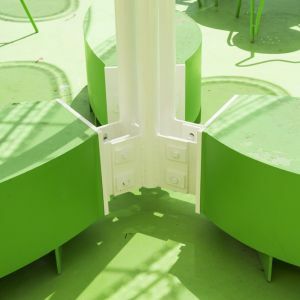 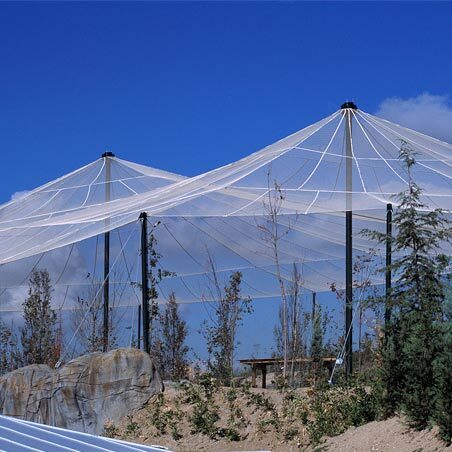 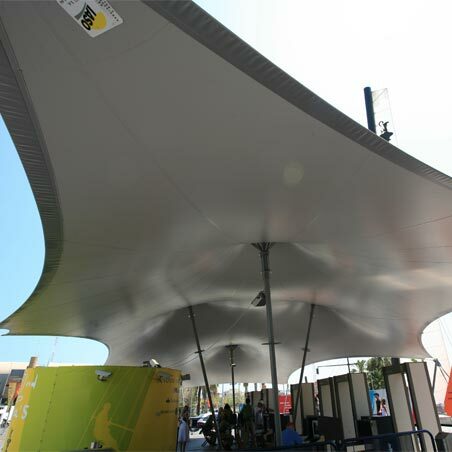 It is also designed to allow the disassembly of the foundation to move the sunshade to another place if necessary.